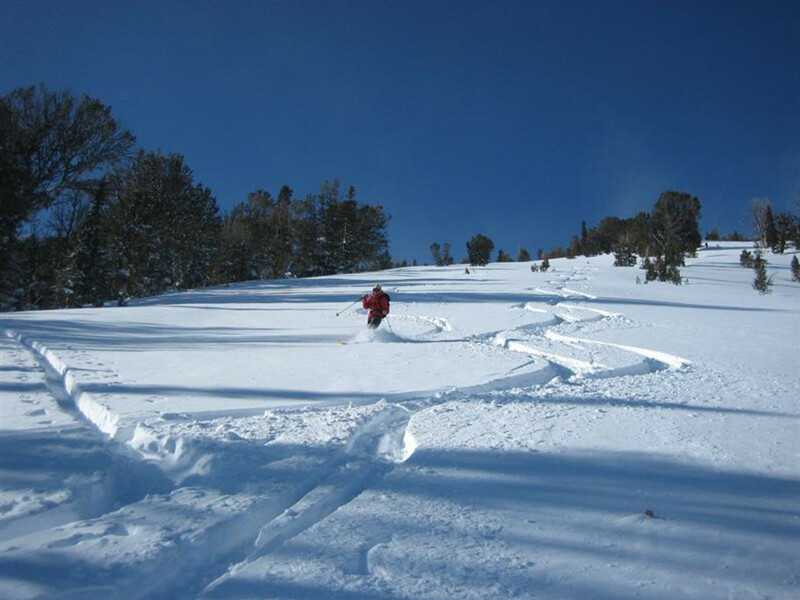 For the past couple of years, Jackson Hole Mountain Resort has opened in late November instead of early December. We're all for that, but it can still be agonizing to watch storms dump feet of snow in the mountains weeks beforehand. Agonize no longer. If you’ve got the gear and a willingness to work for your turns, there’s backcountry skiing to be had in and around Jackson Hole prior to JHMR's official open. But keep in mind that when the snowpack is shallow, all backcountry skiing is not created equal. Runs that are great in February might require negotiating deadfall -- or might destroy your bases in November. 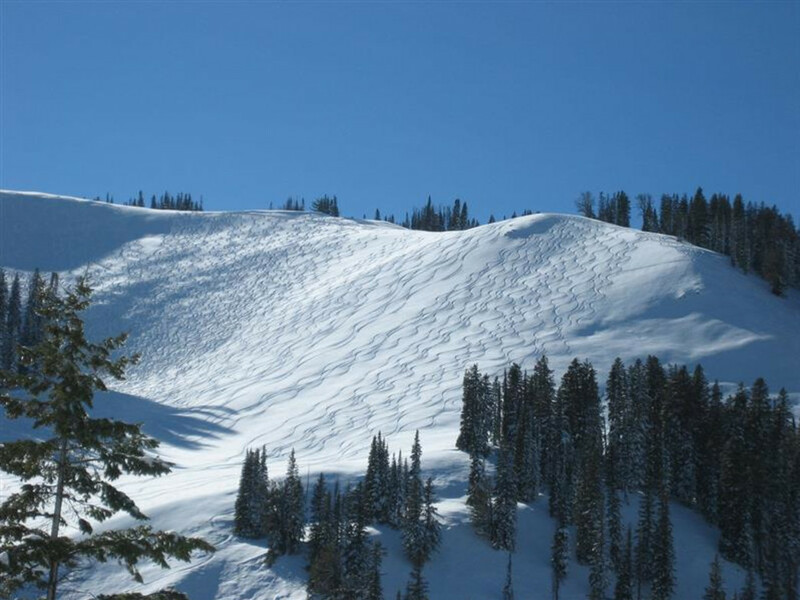 In addition, backcountry skiing where there’s no ski patrol to mark obstacles or perform snow control can be dangerous; knowing how to navigate avalanche terrain is essential. (Stay informed of daily avalanche advisories for the Tetons all season long, or call in an observation at (307)739-2607). 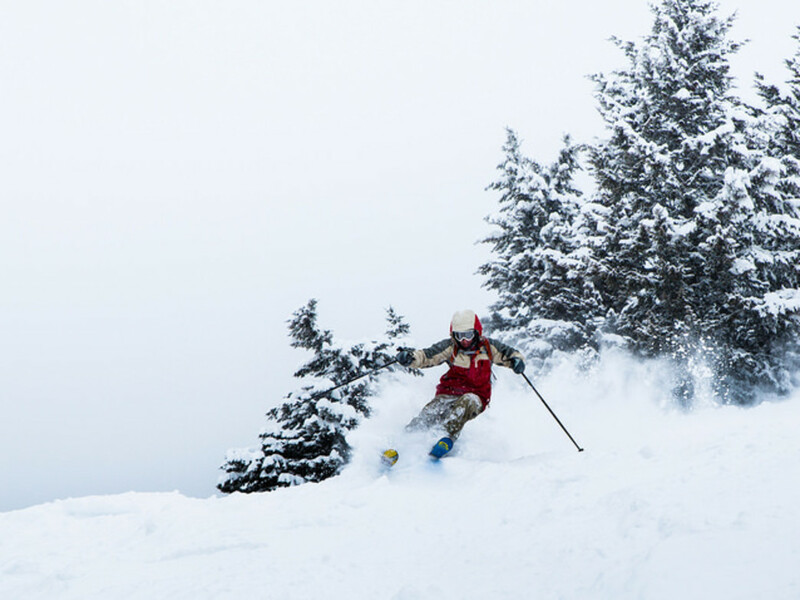 With that in mind, here are a few of our favorite backcountry lines to find your ski legs in the early season. Don't let its name fool you: Wimpy’s in Grand Teton National Park and its approximately 3,000-foot ascent is a great way to start knocking off the cobwebs for uphill skiing this season. Plus, the open meadow at the very bottom, before you hop onto the luge track to return to the trailhead, might be the most evil bit of terrain ever: low angle, and seemingly never ending. Do a lap on this peak’s east face—where the majority of skiers and split-boarders descend—and tell us that meadow doesn’t make your quads scream. (And keep in mind that you’re hitting it after you’ve already made 3,000 feet of turns, too!) The grasses and brush popping up through the snow can be disconcerting, but the meadow is generally rock free, and the few that are there are larger and generally visible. The tough end is worth it for the turns above, though. Wimpy’s eastern flanks offer a variety of runs. Toward the bottom, we usually head to skier’s left, where we drop into a short gully before emerging onto an open ridge. The ominously named Avalanche Bowl isn’t unusually slide-y, and its mellow slopes are great early-season options because neither the skinning nor the skiing is particularly taxing. To get to Avalanche from the parking lot at the top of the pass, it takes about 45 minutes, but there is only several hundred feet of climbing, and it's mostly a traverse. You'll arrive at Avalanche at the top, and the typical early-season option is to descend 500-600 feet before returning to the top. Later in the season, you can take the slopes and gullies below Avalanche Bowl all the way to Old Pass Road , but we don’t recommend that in November and December. Come March, you might complain that Edelweiss is too short—each lap is about 1,100 feet—but in early season, it’s just the right length for untested quads (and that goes for the up and the down). On the south side of Teton Pass, Edelweiss sees high traffic all winter long, but it's particularly popular in the early season when the rocky north side of the pass is still chewing up ski bases. Edelweiss’ slopes are mostly grassy; no promises you won’t hit a rock, but it’s unlikely, especially on the bowl’s upper half, which we love to lap. South of Edelweiss, there's a less trafficked bowl known as Thanksgiving Bowl (a fitting name for the early season). Though it's a couple hundred feet less of skiing, the fact that you'll have it all to yourself is a solid trade-off. When you’ve had enough, to get back to the parking lot, descend to the bottom of the bowl and then down the gully to neighboring Edelweiss, where there’s a skin track up Powder Reserves. For excellent aerial photos showing all these areas, check out Jackson Hole Ski Atlas by _longtime local backcountry skier Angus Thuermer Jr._ It’s available for less than $20 from most every backcountry ski shop in the valley, including Skinny Skis. With its expanded snow-making debuting this season—more than $3 million was invested— Snow King should have a ribbon of snow from top to bottom by the end of November, regardless of what Mother Nature decides to do. 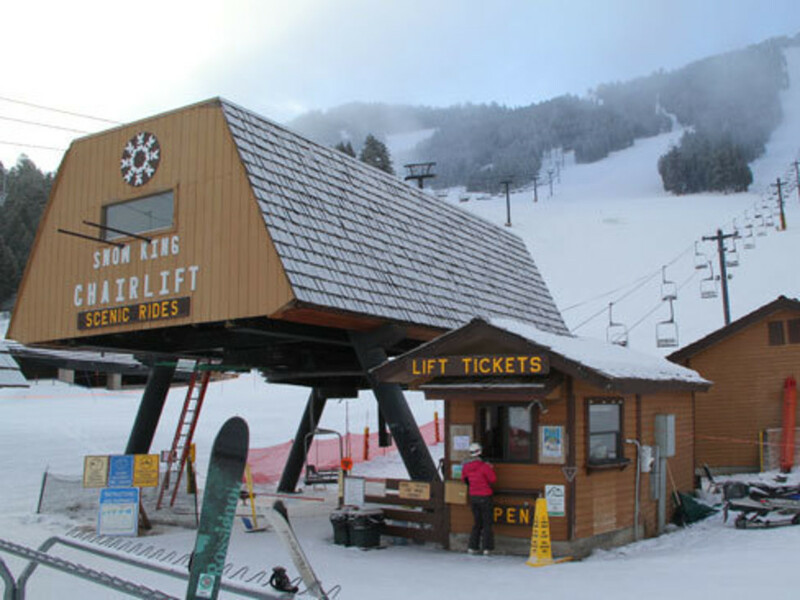 Lifts still won’t open until December, but the resort will let skinners use the lane when it doesn’t interfere with the Jackson Hole Ski & Snowboard Club’s training. Also, this is the one early-season option for boot packers. The official bootpack trail goes up far looker’s right of Exhibition.